Kolkata, previously known as Calcutta is the principal education centre of East India. Top Schools in Kolkata, many of which are religious, follow the 10+2 plan for most systems of school education. After completing the grade 10thsecondary education (ICSE for CISCE affiliated schools and AISSE for CBSE affiliated schools) students enrol for the higher secondary examinations (i.e. ISC for CISCE schools and AISSCE for CBSE schools). Let’s take a look at the details and ranking of the top 20 schools in Kolkata. Established over 180 years ago, La Martiniere Girls is spread over acres in one of the most prime locations of the city and has been ranked as the top school in Kolkata. Among top girls schools in Kolkata, La Martiniere for Girls also known as LMG School is India's Rank 2 Best Girls Day Schools of 2016 across the nation. Situated right opposite La Martiniere Boys School, LMG is an all-girls Day school with optional boarding facilities. The curriculum followed at LMG is affiliated with Council for the Indian School Certificate Examinations and prepares students for ICSE and ISC examinations that are for class X and XII respectively. The school scores highest among categories like Community Service and Value for Money, but that is just the beginning. LMG also scores the 2nd highest on Academic Reputation, a category where it shares space with Birla High School for Boys, Calcutta Girls High School and Garden High School Kolkata. The school does fair high on its Class 12th ISC exams average as well at 87. Ranking on Internationalism, Infrastructure Provision (which we must add is the highest among girls schools) and Parental Involvement too scales high on the chart as well. LMG does score slightly low in categories like Special needs education and Individual Attention to Students with a score of 75 which all in all is still a good score yet considered relatively low for the top ranked school. Founded by B. M. Birla in the year 1952, Modern High School Ranked 2nd is also an all-girls school however it is a day school. Amid one of the top girl’s schools in Kolkata, Modern High moreover is India's Rank 3 Top Girls Day schools of 2016. Affiliated by CISCE, Modern High School also conducts ICSE and ISC examination under its curriculum. One of the top ICSE schools in Kolkata, the school caters to education right from Nursery to Class 12 assuring a great atmosphere for children right from the beginning. Modern High scores highest at it academic front where Academic Reputation is marked at a remarkable 92 and showcase the Best Class 12 ISC exams average at 90. From other categories the school scores a great number at Leadership Management Quality sharing this spot with Lakshmipat Singhania Academy. Co-curricular Education, Competency of Faculty and Teacher Welfare and Development too attains the highest tally on the scoreboard for Modern High. The school is overall ranked at the 2nd position for Value for Money which is a great factor that the school not only benefits a student with great features and education but also easy on the pocket. A relatively low score is observed in the Individual Attention to Students at 72, which in total is still better than most schools. Named after St. Francis Xavier in the year 1860 and established by the missionaries of the Society of Jesus, St. Xavier’s Collegiate School Kolkata is an all-boys day school and counted among the top boys schools in Kolkata. The school is India's Rank 2 Best Boys Day Schools of 2016 as well. As most top schools in the Kolkata, St. Xavier’s too is affiliated by Council for the Indian School Certificate Examinations and follows the ICSE and ISC examination pattern. The school starts from Preparatory Classes till 12th Standard. St. Xavier’s is located in the heart of the city at Park Street Kolkata. The school’s former student includes the renowned Nobel laureate Rabindranath Tagore. Just by a point’s difference, St. Xavier’s has attained the highest score on Community Service over Loreto House. In addition to that, the school scores high on the Academic Reputation and has a Class 12 ISC exams average at 81. Other high aspect to the schools judged parameters is Value for Money, Internationalism, Infrastructure Provision, Parental Involvement, Leadership management quality, and much more. St. Xavier’s possibly scores high on almost every category listed, however the only dip that is noticed in a category is Individual Attention to Students which is same as Modern High. Yet another all-girls school making it to the top 5 schools in Kolkata, Loreto House is also among the top 3 girls schools in Kolkata. Managed by the Loreto Education Society which also runs 17 schools and two colleges in India, Loreto House Kolkata is affiliated by Council for the Indian School Certificate Examinations. Loreto House was established in the year 1942 and has maintained high literary standards ever since. The school also has won the honour of being listed India's Rank 5 Top Girls Day schools of 2016. Loreto House has second highest scores in two categories listed, Community Service and Special needs education. Besides these, the school is high ranked in its Academic Reputation along with Class 12 ISC exams average at 85. Good on Value for Money, Internationalism, Sports Education and Co-curricular Education, Loreto House fairs rather well on all factors mentioned on the list. Parental Involvement is one such category though where the score is comparatively low considering the school falls in the top 5 schools in the city. An all-boys day school with an option for boarding facility, La Martiniere for Boys is among the top boys schools in Kolkata. Also known as LMB Kolkata, the school name has been derived from its founder Major General Claude Martin, a French adventurer-merchant who made a fortune under the patronage of the East India Company in India. Today, LMB is India's Rank 4 Best Boys Day Schools of 2016. The school is open for students right from Nursery to Class 12th and follows the Council for the Indian School Certificate Examinations (CISCE) which includes ICSE and ISC certifications. La Martiniere for Boys has bagged the highest score on Infrastructure Provision which is jointly shared with Sri Sri Academy. However, in Parental Involvement it beats all top schools hands down with its score at 82. Within parameters like Academic Reputation, Community Service, Value for Money, Life Skills Education and Conflict Management, LMB does score high and proves a mark of standard in the field of education. Missing by just a point, LMB is a rank behind St. Xavier’s on Sports Education, and shares same space with La Mart Girls in Competency of Faculty. The school’s Class 12 ISC exams average at 84 too is among the top. LMB score on Special Needs Education along with Teacher Welfare and Development leaves a bit to still be desired. Known for India's Rank 23 Best Co-ed Day schools of 2016, The Heritage School Kolkata is among the top 10 schools in Kolkata at Rank 6 in the list. Fairly recent in its establishment as compared with the other top schools, Heritage began with 421 students in the year 2001 and today has strength more than 2,300. Promoted by the Kalyan Bharti Trust, the Heritage School is affiliated with Council for the Indian School Certificate Examinations (CISCE) and also offers International Baccalaureate Diploma Program (IBDP) for student’s in16-19 year age bracket. The Heritage School is possibly the five-star among schools in terms of the cost put into the infrastructure. The Heritage School has topped the chart on Internationalism by taking a leap over St. Xavier’s and other top schools in the list. It scores high on Special needs education, Infrastructure Provision, Parental Involvement, Leadership Management Quality and Individual Attention to Students. It ties a spot with MP Birla Foundation and La Martinere Boys with a Class 12 ISC exams average at 84. Its low scores in Special Needs and Education at 62 still fairs among the top 5 in the category. Also popularly known as LSA, Lakshmipat Singhania Academy Kolkata is a co-educational day school that was established in the year 1996. A school under the Lakshmipat Singhania Education Foundation, it is affiliated with the Central Board of Secondary Education (CBSE), New Delhi, and the first top CBSE school in Kolkata mentioned in the present list. It is also among the top co-ed schools in Kolkata at Rank 7 and awarded India's Rank 24 Best Co-ed Day schools of 2016. LSA offers education from pre-school to class XII. LSA has an excellent Academic Reputation and has its Class 12 CBSE exams average at 88. It also shares its Leadership Management Quality score with Modern High Girls at 90 which is far more than all top schools mentioned in the entire list. The school also scores quite well on Internationalism, Sports Education, Individual Attention to Students and in addition to this it does share the 2nd highest position on the Special Needs Education. An English medium co-educational day school, The Future Foundation School, Kolkata is affiliated with the Council for the Indian School Certificate Examinations (CISCE), New Delhi. The school caters to classes right from nursery to class XII and is among the top schools in Kolkata at Rank 6. The Future Foundation School is founded on the principles of Sri Aurobindo and The Mother and offers holistic education nurturing physical, mental, psychic and spiritual aspects of children leading its way to India's Rank 41 Best Co-ed Day schools of 2016. Topping scores for Individual Attention to Students, Life skills education and Conflict Management The Future Foundation School does seem to practice what it preaches. It also scores quite high on Academic Reputation where it’s Class 12 ISC exams average at 86 looks very promising. Parental Involvement and Leadership Management Qualities are other categories it does fairly well in. The school overall seems like an all-rounder. Don Bosco School was established in 1958 and currently is India's Rank 9 Best Boys Day Schools of 2016. Sited within the heart of the city at Park Circus, Don Bosco is an English medium Anglo Indian school originally for Catholic boys which is established and managed by Salesians of Don Bosco (North India). Don Bosco School is a Christian Minority institution recognised by the National Commission for Minority Education Institution and is affiliated with the Council for the Indian School Certificate Examinations (CISCE) and the Council for Vocational Education (CVE). Among the top 10 schools in Kolkata it does have a provision for admission of non-Catholic boys. Don Bosco promises high academic standards and attained Class 12 ISC exams average at 83. It also scores well on co-curricular activities and overall development where categories like Sports Education, Co-curricular Education, Competency of Faculty, Teacher Welfare and Development are scored pretty well. Though, it lacks good points on Community Service, Leadership Management Quality and Individual Attention to Students. An all-boys day school founded in the year 1940 by Late Sri LN Birla, Birla High School is located at Moira Street, Kolkata. An English medium school affiliated with the Central Board of Secondary Education (CBSE), the school provides education from Kindergarten through class XII. With India's Rank 13 Best Boys Day Schools of 2016 awarded to Birla High School, it is also the 10th top school in Kolkata. Birla High School has attained second highest Academic Reputation which also ties its spot with Calcutta Girls High School, Garden High School and La Marts Girls. The school has also scored second highest scores in two more categories, namely, Class 12 CBSE exams average at 86 and Parental Involvement. It has fared rather well in Sports Education, Co-curricular Education, Competency of Faculty, Teacher Welfare and Development categories too. Community Service, Special Needs Education, Individual Attention To Students, Life Skills Education and Conflict Management are scores that have brought the overall score lower than other top ranked schools. Missed being in the top 10 schools in Kolkata by just 1 point, Our Lady Queen of Missions School, Kolkata is an all-girls day school that was established in the year 1946 and holds great prestige honoring the girl child. Affiliated with the Council for the Indian School Certificate Examination (CISCE), the school is a member of the Association of the Anglo Indian Schools in India. In 1968, the school initiated a free school for less privileged girls from Nursery to class 8th. Starting with mere 5 students in the at the time of its establishment, today Our Lady Queen of Missions School proudly boasts of 2000 students for classes Nursery to Class 10th. The school also has one more branch in the city, which is at Salt Lake. Our Lady Queen of Missions School scores high on its academic front with Class 10th ICSE exams average at 89. It scores relatively high on most of the list’s parameters such as Value for Money, Internationalism, Leadership Management Quality, Life Skills Education and Conflict Management, Academic Reputation, Competency of Faculty, Teacher Welfare and Development. The Infrastructure Provision however brings the overall score down as compared with the other top schools, 69 is relatively low considering schools at lower ranks score higher in this aspect. High Scores in categories like Internationalism, Individual Attention to Students, Co-curricular Education, Academic Reputation and Teacher Welfare and Development are an asset to the school’s popularity. Though, Infrastructure Provision and Leadership Management Quality are scores that can be worked upon to up the rank of the school. Relatively lowest of all scores attained by Sushila Birla Girls' School is that of the Special Needs Education category and that is definitely something that should not be taken lightly. Mahadevi Birla World Academy, Kolkata, is yet another all-girls day school in the city of Kolkata located at the Darga Road. Affiliated with the Central Board of Secondary Education (CBSE), New Delhi, Mahadevi Birla World Academy was established by the late GD Birla in the year 1959 in the name of his wife, late Mahadevi Birla. The school is ranked as one of the top schools in Kolkata. Mahadevi Birla World Academy has high scores in parameters like Academic Reputation, Individual Attention to Students, Sports Education, Co-curricular Education and is also the 3rdHighest among Class 12 CBSE exams average at 84. Additionally, the school bags the 5th position in the list for two categories, Parental Involvement and Internationalism. Infrastructure Provision is a parameter that brings the score down slightly. Awarded India's 14thBest International Day Schools of 2016, Calcutta International School was founded in the year 1953 and is a reputed co-educational international school in Kolkata serving both local and expatriate communities. With approximately 17 nationalities representing numerous continents, Calcutta International School maintains that the school inculcates awareness and appreciation of different cultures and religions among its students, endorsing a sense of global unity. Popularly called CIS, the school is a member of the Council of International Schools, following its principles and standard. It is also affiliated with the University of Cambridge International Examinations (CIE) and Edexcel, UK, which offer an International General Certificate of Secondary Education (IGCSE) curriculum as well as the General Certificate of Education (GCE) curriculum. Into the bargain CIS also has on board the IB diploma programme for students interested in the certification. CIS has attained a score in the top 5 for its efforts put into the Special Needs Education category and also has high scores Parental Involvement and Leadership Management Quality. The school promises a great environment for students as it is also the second highest on Individual Attention to Students complimented with a high score in Teacher Welfare and Development parameter as well. A rather low score is seen in the Value for Money and slightly alarming for the school’s overall position with its score on Academic Reputation being the second lowest in the list. Sri Sri Academy has been awarded India's Rank 87 Best Co-ed Day Schools of 2016 and has been founded by Sri Ravishankar Vidya Mandir Trust. An English medium co-educational day school in Kolkata located in the heart of the city at Alipore Road, Kolkata, Sri Sri Academy imparts education based upon the path changing principles of the founder Sri Sri Ravi Shankar. The school helps provide a stress free learning environment for the students. Sri Sri Academy is affiliated with the Council for the Indian School Certificate Examinations (CISCE), New Delhi and offers schooling from pre-nursery through class XII. Known for its great academic reputation, the Sri Sri Academy has the highest Class 10 ICSE exams average at 88 and ties the spot with La Marts for Boys as the highest scorer in Infrastructure Provision. Missing the spot of highest in the Internationalism parameter, Sri Sri Academy at 76 achieved a great score within the category. Parental Involvement, Leadership Management Quality, Sports Education, Co-curricular Education and Academic Reputation are other such categories that define a great position for the school with high scores. Considering the school is a part of top 20 ranked schools in Kolkata, the points in Community Service and Special Needs Education are rather low. With the top score of 88 in the category, Sri Sri Academy’s score of 67 in Life Skills Education And Conflict Management seeks low in perspective. Calcutta Boys’ School, sited at S.N. 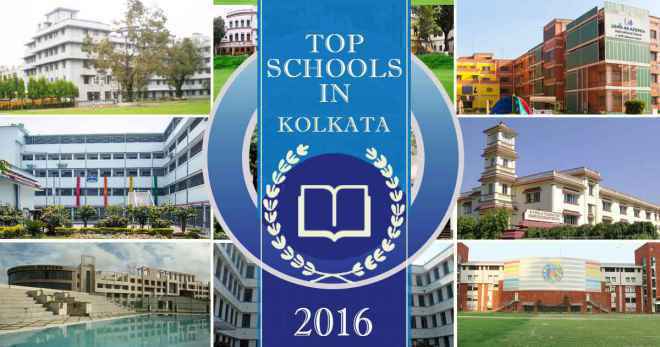 Banerjee Road in the heart of Kolkata is India's Rank 16 Best Boys Day Schools of 2016. Established in the year 1877 by James Mills Thoburn, Bishop of the Methodist Episcopal Church, the school is 16th among top schools in Kolkata sharing its rank with Akshar School on the list. It is a Christian, minority Anglo-Indian, English medium day school for boys managed by the Calcutta Christian Schools Society and is affiliated with the Council for the Indian School Certificate Examinations (CISCE), New Delhi. Popularly called CBS, the school is a high scorer in categories like Academic Reputation, Individual Attention to Students, Sports Education and also has a Class 12 ISC exams average at 88 which is highly encouraging. Competency of Faculty has a great score that lands the school in the top 10 scores within the category. The listed points sees a dip in categories of Special Needs Education, Leadership management quality, Individual Attention to Students and Competency of Faculty. As one of the top integrated schools in Kolkata, Akshar sees to the needs of both, children with special needs and regular children and has student strength of 400 making it India's Rank 88 Best Co-ed Day schools of 2016. A co-educational day school, Akshar School was established in 1998 at Diamond Harbour Road in Kolkata and is affiliated with the Council for the Indian School Certification Examinations (CISCE). The school was founded under the guidance of eminent educationist and scientist Yashpal Sharma and is managed by The Rajpal Khullar Memorial Trust – a non-profit charitable organization. The school offers education from Lower KG to class 10th. The school has been awarded highest score in the Special Needs Education and lays special effort in maintaining the standard of education. Akshar’s Class 10 ICSE exams average at 86 is the second highest among other listed schools and does speak for it. Third highest in Individual Attention To Students, Akshar School has great merits backing its position. Even with the Community Service category, the school lands itself in the top 10 scores. Teacher Welfare and Development is one such category where Akshar School's score does seem to struggle. India's Rank 95 Best Co-ed Day schools of 2016, Garden High School is a co-educational, English medium day school. Established in the year 2000 by the Satikanta Guha Foundation, Garden High is a fairly new school among this list of top schools in Kolkata. The school is affiliated with the Council for the Indian School Certificate Examinations (CISCE) and also offers Cambridge International Examinations (CIE), UK. The school caters to classes from Nursery through Class 12th. The school is located at Prantik Pally on a 1.75 acre campus with modern infrastructure. Attaining best Class 12 ISC exams average at 90, Garden High ties the spot with Modern High School for Girls in this category. It also ranks second highest in Academic Reputation where it shares space with Birla High School for Boys, Calcutta Girls High School and La Marts Girls Kolkata. Garden High scores high on many parameters like Infrastructure Provision, Parental Involvement and Leadership management quality, however lacks making a mark in a few. Special Needs Education is noted as the lowest score adding to the total of Garden High. Set up under the aegis of the DPS society in 2003, Delhi Public School is located in Ruby Park and is affiliated with the Central Board of Secondary Education (CBSE), New Delhi. DPS also has another campus in Kolkata at Shanty Pally and offers education from Kindergarten to class XII. A co-educational day school, Delhi Public School at Ruby Park is India's 100th Best Co-ed Day schools of 2016. The school boasts collaboration with NIIT, which provides the latest computer based tutorials. The school relatively has high scores on its Infrastructure Provision and Academic Reputation. However, DPS Ruby Park's score on Special Needs Education, Leadership Management Quality and Individual Attention to Students has pulled it down in the top 20 list. Its Competency of Faculty score is far lower than school below in rank and is a purplexing factor. A girls’ only English medium day school, Shri Shikshayatan School is India's rank 27 Best Girls Day Schools of 2016 and is affiliated with the Central Board of Secondary Education (CBSE), New Delhi. The school imparts education from LKG to Class 12th and is sited at the Lord Sinha Road, Kolkata. Among top 10 for its score on Individual Attention to Students, Shri Shikshayatan School also has fallen into the top 10 bracket for it score in Life Skills Education and Conflict Management. The school fairs well on categories like Parental Involvement and Teacher Welfare and Development. The relatively lower side of the overall total is due to descending scores in Internationalism, Infrastructure Provision and Sports Education. A mere 46 score in the Special Needs Education category too is a score that has pulled down the rank by a few points. With India's rank 28 Best Girls Day schools of 2016, Calcutta Girls High School (CGHS) falls into one of the best schools for girls in Kolkata as well. Sited at Princep Street in Kolkata, CGHS is a K-12 English medium girls school is partly a residential school with hostel facility available on campus.It was established in the year 1856 under the guidance of the then Governor General of India, Lord Canning. CGHS was initially supported by the Evangelical denominations of the city and later in 1877 the management of the school was handed over to Bishop J.M. Thoburn of the Methodist Episcopal Church. The school is now owned and managed by the Methodist Church in India and is under the supervision of the Calcutta Christian School Society and is affiliated to the CISCE (Council for the Indian School Certificate Examinations, New Delhi). The Class 12 ISC exams average at 86, promotes CGHS’s Academic Reputation which also is 2nd highest in the category shared with Birla High School for Boys, Garden High School and La Marts Girls. The school at two other levels scores high on parameters like Individual Attention to Students and Life Skills Education and Conflict Management. However, it does have the 4th lowest score on Infrastructure Provision which is a factor that many parents may find very important to ace at. Even the Value for Money falls in the lowest 10 of the list which is yet another factor parents do worry about. The school's score on Special Needs Education, Internationalism and Sports Education parameters may also be worth improving for the future. The city has a remarkable list of good schools in Kolkata that even at the lowest point do bring about a unique factor that cannot be ignored in a school. From Academic point of view and the Value for Money the city offers, the top 20 schools in Kolkata are surely class-apart. To know more about the schools in Kolkata and other cities in India, their fee structure, admission dates and a lot more explore SchoolWiser.